As an author, you are also an entrepreneur. You created your own product (your book), and now you have to sell it. Selling books means finding readers and encouraging them to take a chance on your words. In the marketing world, those same readers would be called “leads,” and the best way to generate more leads for your book is to use active engagement. Here is how you do that. Personalized marketing is where you tailor your marketing efforts to one specific individual at a time. That probably sounds like a lot of work, but it isn’t that complicated. Those emails you get from GoDaddy or Living Social every day, the ones that greet you by name? That is an example of personalized marketing. The coupons you get at the grocery store after swiping your member’s card? Those are examples of personalized marketing. One of the points she makes in this article is about dripping relevant content to the right audience, and personalizing the message when you do. This is really important because it increases open rates and the likelihood that the intended recipient is going to engage with your content. For example, I have a mailing list for people who have expressed an interest in my talks after a speaking engagement. I use MailChimp to gather their information, but then I go in and group the individuals in the list by which event they saw me at. That way, for example, when I return to the event next year, I can reach out to that segment of the list and let them know I’m hoping to see them there again, and invite them to a special get-together with me. Or if there’s a similar event in their area, I can make sure they know about it. Likewise, when people buy one of my books, I group them in the mailing list based on which book they purchased. Since my books are on a variety of topics, it allows me to identify those who might be willing to buy a new one based on the buying choices they made previously. 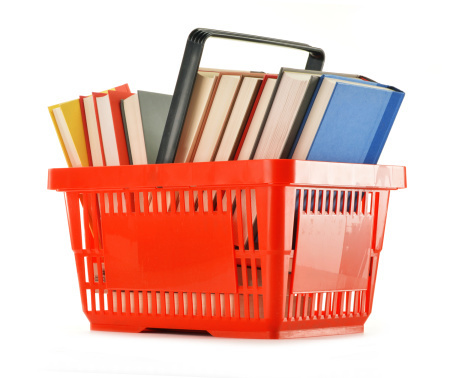 With the right engagement, every book in this basket could be sold by you! If you use WordPress, there are a bunch of different tools you can use to actively engage with your website’s visitors (and sell more copies of your book). My favorite (and one that I use right here on this site) is the vCita plugin. vCita creates a dialogue box that you can customize to fit the needs of your site and the product you are trying to sell. Some people use it to schedule appointments or to manage client data. vCita does neither of those things. It’s discreet, attractive, fully configurable and customizable, and gives just a gentle nudge to encourage engagement. So, if you set it up with info about your book or with an irresistible offer related to it, you’re going to create a lot more interest in the book than you would with a simple e-mail opt-in box stuck in the sidebar somewhere. If you are going to use an active engagement tool like this, you want to ensure your visitors see it and that it doesn’t get blocked by the users’ web browsers. So be sure to test it in a variety of web browsers after it’s implemented. I’ve never had a problem with vCita being blocked, but it’s always good to make sure your website is functioning as you intend it, in more than just the browser you commonly use. Visitors can be coming from anywhere, including mobile devices. Another tool that I use on occasion is called OptinSkin. While it creates a customizable opt-in box for you, its main benefit is that you can place it anywhere on your site. For example, one setting allows you to put it at the end of a blog post; another after the first x paragraphs of the post; still another floats it to the right of the second paragraph of a post. So, the placement possibilities are attractive, and the customizable designs are great looking. The problem is, I’ve also found the OptinSkin plugin to be incredibly buggy. It works fine for capturing information and active engagement, but during upgrades, some portion of it seems to break on my site every time. So I no longer use it personally, although a few of my clients still do. Regardless of which tool you use, if you find that there is an issue with your tool being blocked, there are scripts you can put into your site’s code that will restrain pop-up blockers and increase your engagement levels. Everybody offers advice on how to generate leads on Facebook, Twitter and LinkedIn. Do you know, though, how to actively engage with potential readers and leads on social sites like Reddit or Pinterest? 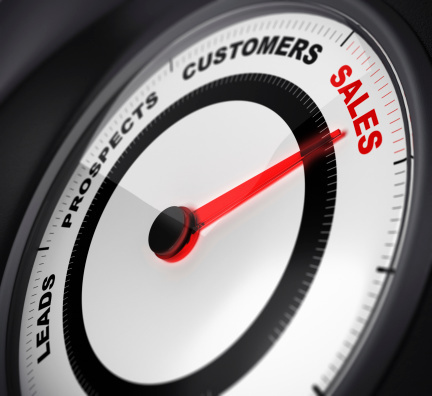 The best way to engage potential book sales leads, of course, is going to depend upon what type of book you’ve written and the audience for which it is intended. You’ve likely already done some market research to figure out how to better reach potential readers. Apply that research to your engagement techniques to ensure you’re connecting with the right audience. If you haven’t subscribed to the blog yet, join the mailing list. That way you won’t miss out on great information like what’s in this post. Congratulations, You Won a Book Award! Now What?